The Evolutionary perspective is new to the field of psychology, having begun about fifteen years ago. Even in 2010 traditional psychologists are still debating whether or not our evolutionary pasts should be considered because it does appear to fit with many of the traditional theories (American Psychologist Feb -March 2010) The major focus of counseling is still the cognitive behaviorist perspective. The behaviorist perspective believes that each of us come into the world as blank slates. This tabula rosa perspective believes that we are the sum product of our environment. We are no more than what has reinforced and punished us. Provide the right environment, believe the behaviorists, and we can mold a child into anything. Of course the converse is true with a negative environment. Further, although most of Freud’s theories have not held up, we still seem to cling to the Freudian idea that we impacted only by our personal unconscious. Freud and Jung were contemporaries. Jung believed that we were far more than our personal unconscious. We were the sum product of our evolutionary heritage, of our genetic and cultural. Not only was this true on a human level that we were the rich sum of all that came before us genetically, Jung believed that we were also connected to a rich collective and often unconscious repository of instinctual and intuitive knowledge. Jung referred to these basic needs and instincts as archetypes. 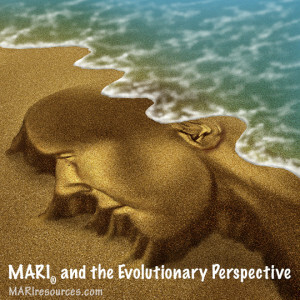 The evolutionary perspective had not yet been conceived. Jung was marginalized in the field of psychology because we literally did not understand what the collective conscious and unconscious were. We had an even harder time understanding the concept of archetypes. We now realize that Jung was far ahead of his time – anticipating the fields of transpersonal psychology, the evolutionary perspective and even quantum physics. We can now put Jung in proper perspective and understand the genius he was now that we have a better platform. Archetypes are to humans as instincts are to animals. Traditional psychology as a field is notoriously slow to recognize the new. Meanwhile counselors attempt to help people daily with a limited perspective. They continue to cope with frustration because of a field that drags its feet apparently because it has so much invested in “the way we’ve always done it” It is no wonder so many mental health professionals feel so frustrated and burned out. Traditional psychology is concerned that the evolutionary perspective can’t be tested which is probably true because human beings are extremely complex and don’t fit neatly into something that can be easily tested. Further, they avoid it because they still aren’t sure what the role of genes or learning is and how much these factors contribute to a person’s makeup. In the meantime therapists and counselors try to help our clients with deep philosophical issues and issues that often feel like life and death because the field is worried about the testability of a certain perspective. We aren’t taught to just respond to the clients as one human being to another, to listen to and comfort another person as we do for those we care about. We are taught techniques and many of the techniques take us as human beings away from our own intuitive, instinctual responses.